Fantastic location! 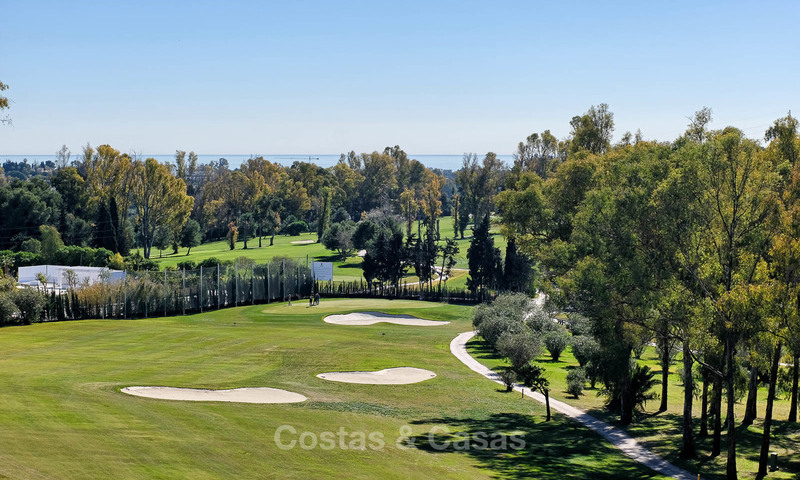 With a front-line golf location on a beautiful 18-hole golf course, you will enjoy stunning views over the course. 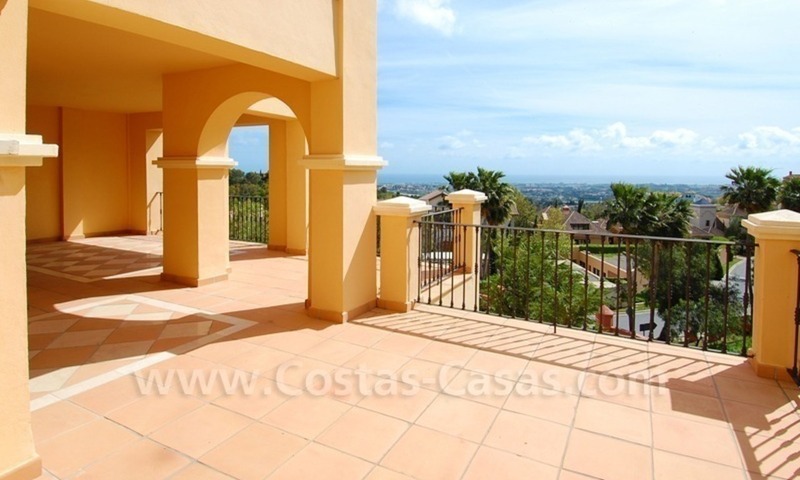 In addition, amazing sea and mountain views complete the soothing decor from the ample terrace spaces of your home. 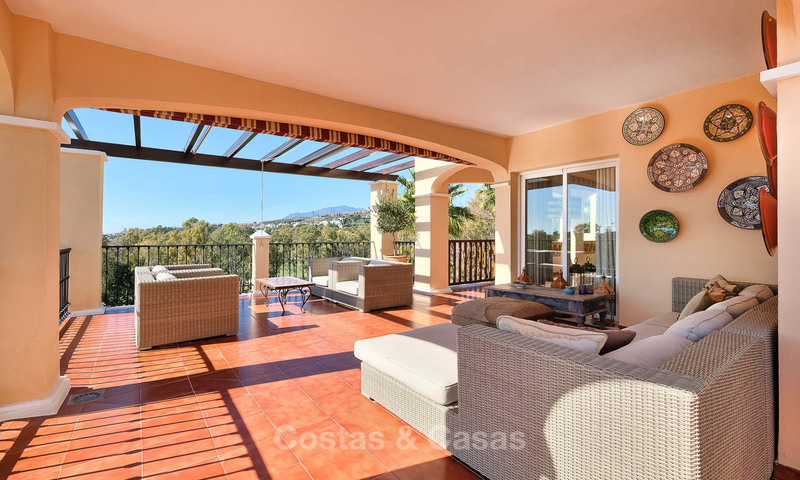 The complex is situated in a quiet, sought-after district of Benahavis, surrounded by golf and nature, yet only walking distance from a supermarket, the golf course and a school. A commercial centre with a bank, another supermarket, little boutiques and cosy bistros is just a 3-minute drive away. 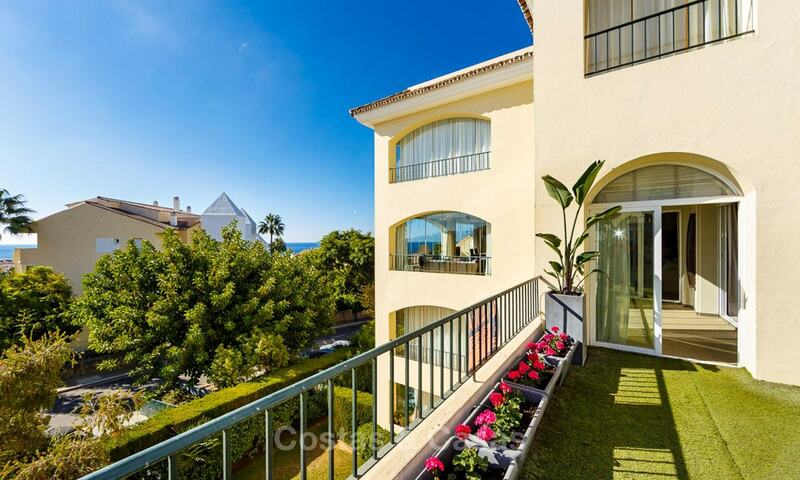 The beach, San Pedro and Puerto Banus are only a 5 to 7-minute drive away. There are several other respected golf courses in the immediate vicinity. Benahavis Pueblo, with its large choice in restaurants, is about 8 minutes away by car. 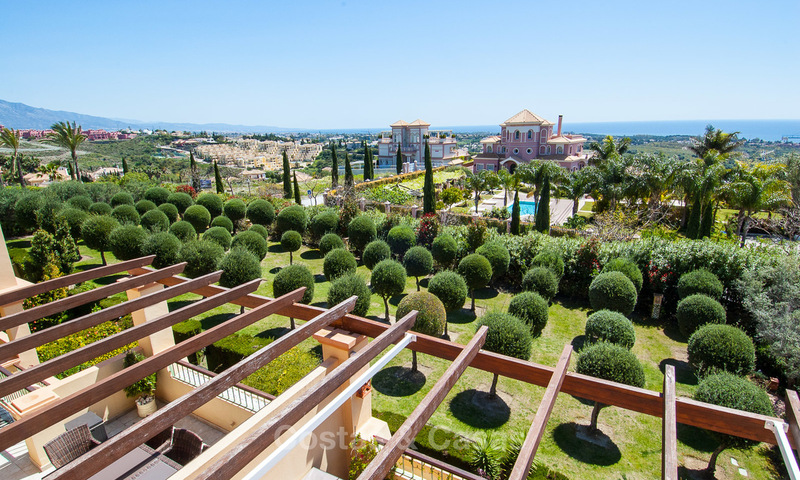 Stylish gated luxury complex with 24h security. 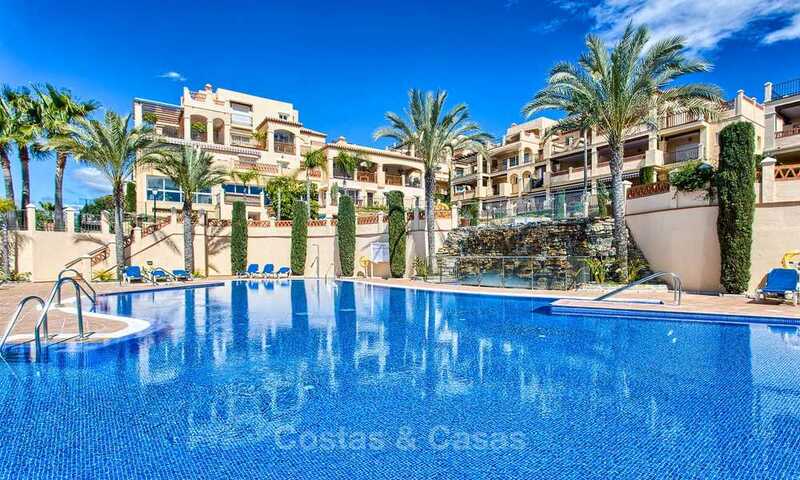 The complex enjoys several outdoor pools, an indoor heated pool, a spa, jacuzzi, Turkish bath, gym and tennis court. Beautiful and well looked after communal gardens. 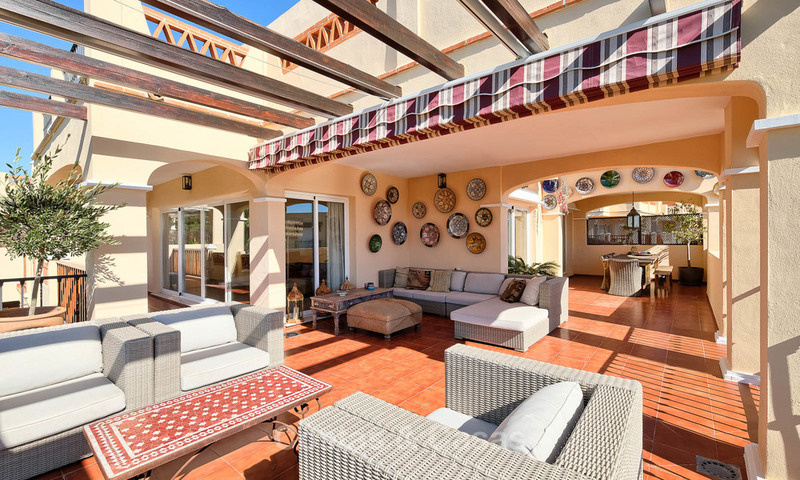 Very spacious and luxurious duplex penthouse apartment in modern-Andalusian style and with plenty of open and covered terrace spaces. Main floor: Entrance hall leading to a spacious open plan living and dining area with fireplace, separate kitchen and laundry area, one en-suite bedroom and one bedroom with separate bathroom. Direct access to the covered and open terraces. Upper floor: En-suite master bedroom with walk-in wardrobe and direct access to a private terrace.